Kiss have extended their 2017 European tour, adding dates in the UK, Denmark, Italy and the Czech Republic. This week the band revealed a run of shows starting on May 1. Now they’ve listed eight new dates, taking their schedule up to the end of the month. 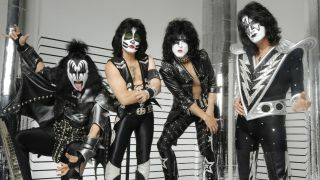 Bassist Gene Simmons recently said of the Kiss approach to performing: “All that matters is what happens on that stage – that’s electric church. Tickets go on general sale at 9am on December 2 via TeamRock Tickets and other retailers.